This is what panel looks like with Omega Kool White gauges installed in the dash bezel. 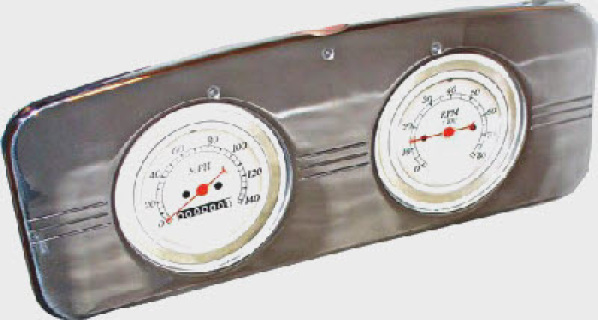 Also be sure to check out our selection of New Vintage gauges, Veethree gauges, Omega Kustom gauges and Intellitronix Digital gauges. FOR AUTO METER 3 1/8"